The Karman Tilt-In-Space Wheelchair uses the intelligent 0°-35° center-of-gravity weight shifting to shift pressure and reduce bedsores. With newly designed swing in and away footrests as well as flip-back armrests that are height adjustable this chair is sure to provide optimum comfort. This chair comes equipped with AEGIS permanently bonded Anti-Microbial barrier upholstery that protects from odor, staining and deterioration from bacteria, fungus and other Micro-Organisms. 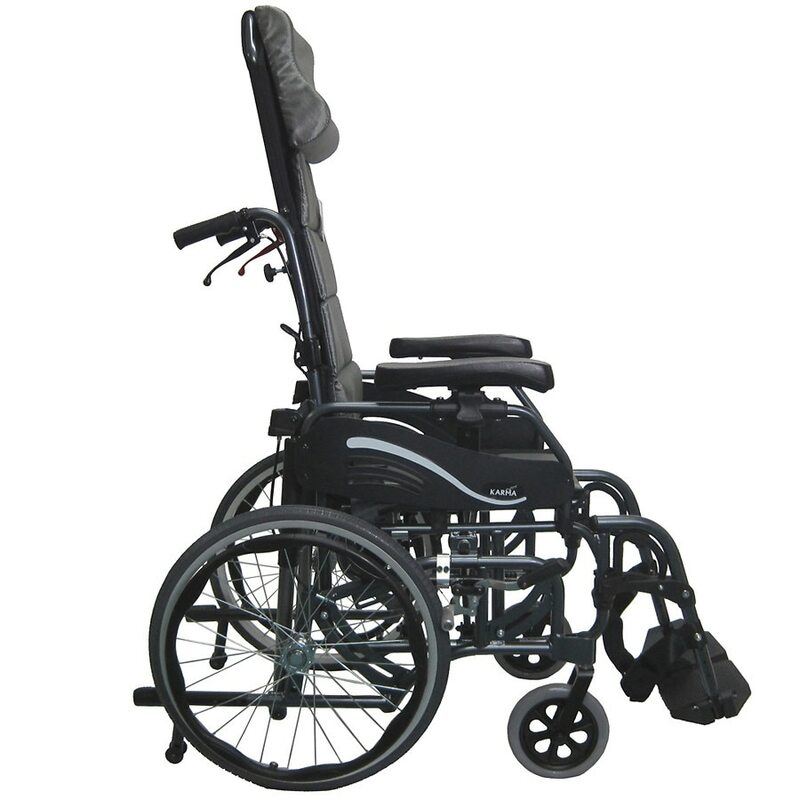 This lightweight tilting wheelchair is perfect for users who need versatility and comfort.